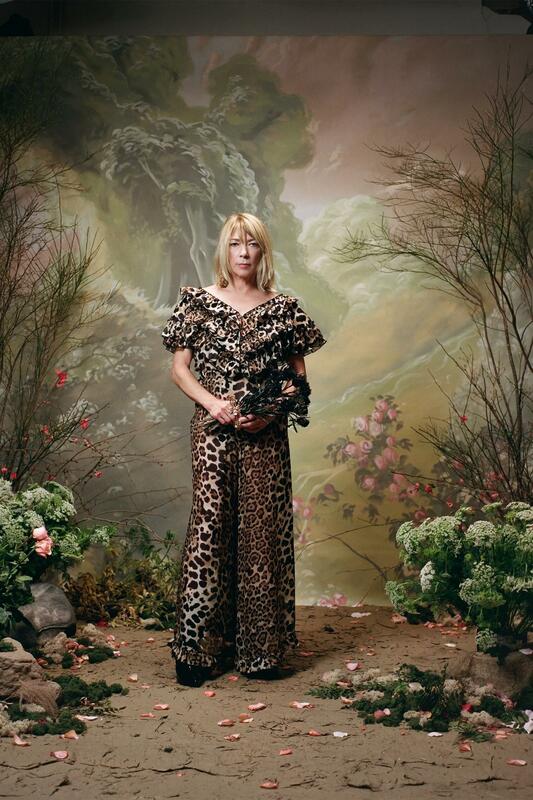 For fall 2018, Rodarte’s Kate and Laura Mulleavy decided to skip the runway in favor of an intimate and extremely romantic photoshoot with some of their favorite famous faces, including a very pregnant Kirsten Dunst. Dunst is expecting her first child later this year with her fiancé Jesse Plemons, but made no public acknowledgement of the pregnancy until now. Dunst modeled two looks in the shoot: a stunning red and white lace maxi dress and a somewhat matronly brown coat, which, honestly, felt a little out of place in a collection brimming with ruffles and pastel lace, but what the heck! 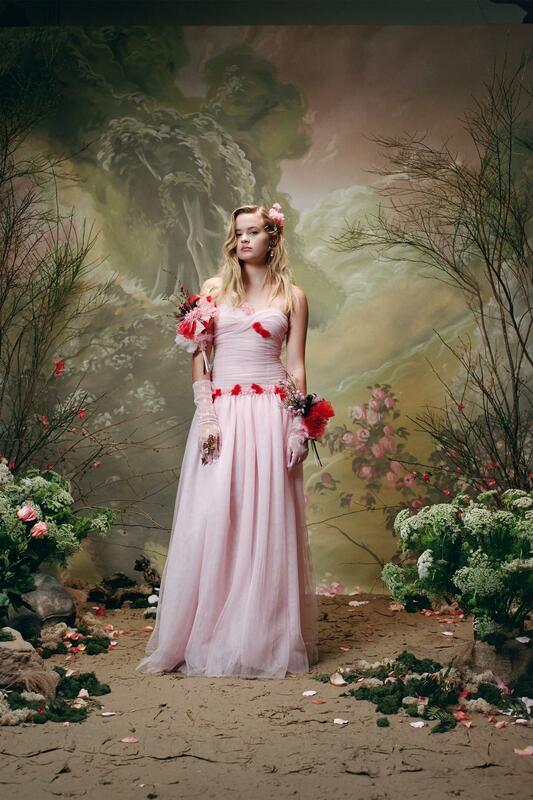 The lookbook shoot also marked the modeling debut of Reese Witherspoon and Ryan Phillippe’s 18-year-old daughter, Ava Phillippe, who wore a gauzy pink evening gown embellished with flowers in one picture, and a black and white tea-length dress in another. 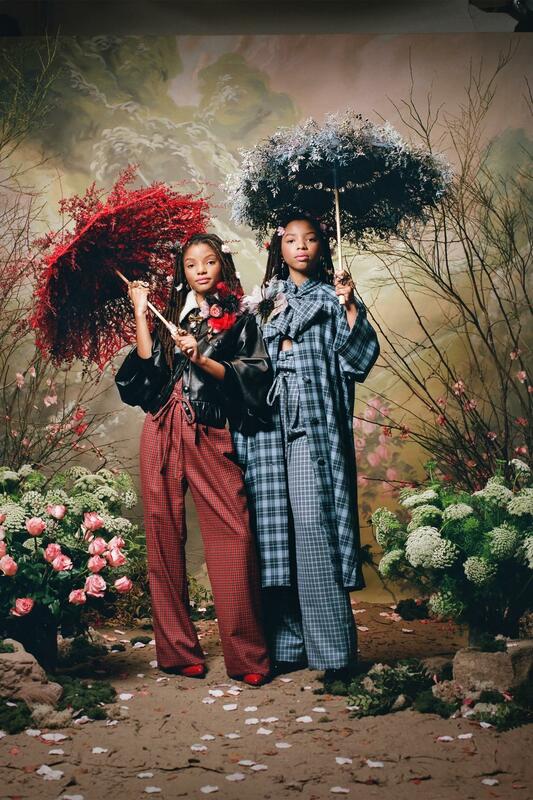 Additional celebrity models included Rowan Blanchard, Chloe and Halle Bailey, Kim Gordon, and Grimes, to name just a few. 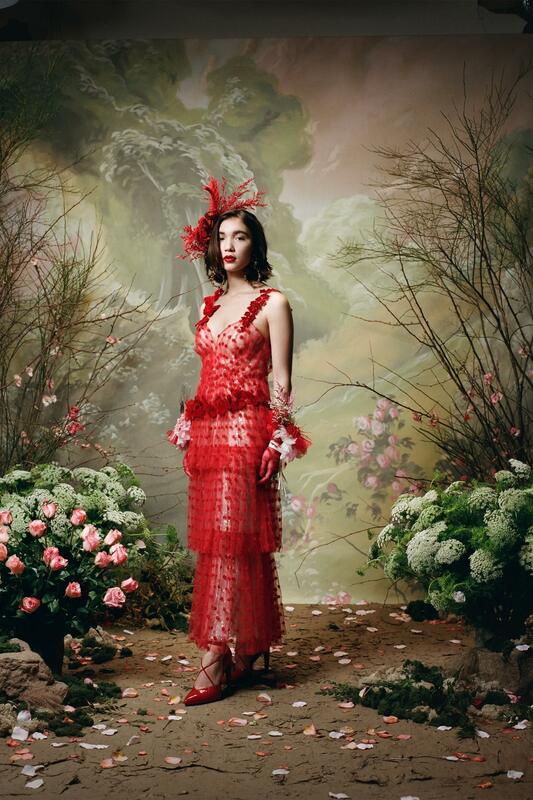 According to the designers, their decision to shoot celebrity portraits in lieu of a traditional runway show came out of their recent work on their first feature film, Woodshock, and the energy and message of the Time’s Up movement. “We’re kind of now more freeing ourselves from what are the traditional ways that you can show and experience the emotion of a collection,” Kate Mulleavy told WWD. “It’s an important time for people to recognize that women are artistic, and that’s what I think these images reflect in all the different personalities,” added Laura Mulleavy.